LEWISBURG — T-Ross Brothers Construction has received a “Best of the Valley” award from the Daily Item newspaper. Company President and CEO, Todd Ross accepted the “Best General Contractor” award at a ceremony on Wednesday evening in Lewisburg. Readers of the Daily Item were able to vote for businesses across The Valley in a number of categories. Readers voted T-Ross Brothers Construction the number one General Contractor. 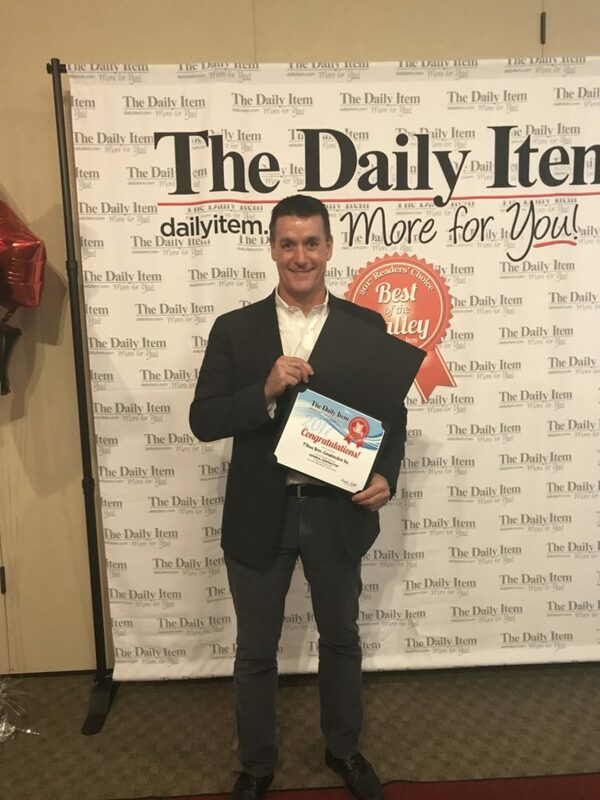 Ross was interviewed by the Daily Item recently and said, “We are honored that the readers of the Daily Item chose us as Best General Contractor. We will strive to continue being the best at what we do, providing the best customer service and expertise in the construction industry. We are thankful for all of our customers.” The “Best of the Valley” winners will be featured in the Daily Item on November 29th. The post President of T-Ross Brothers Construction receives “Best of the Valley” award appeared first on T-Ross Brothers Construction, Inc..